The weekend of the 19th and 20th May sees the 10th Spring Ale & Steam weekend on the Gloucestershire Warwickshire Railway. Over the last decade the events have grown ever more popular with an increased range of beer on offer and this year will be no exception! 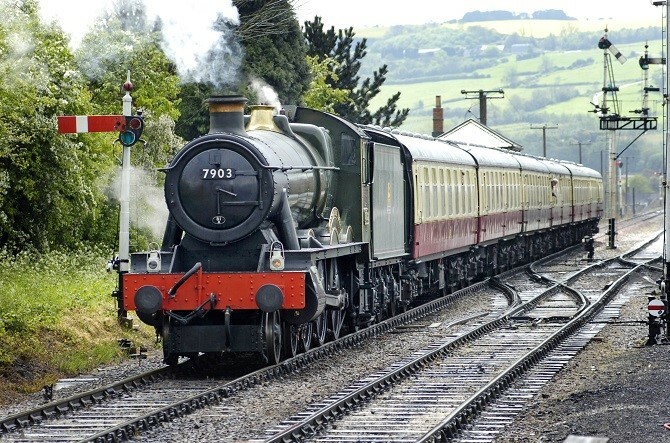 In conjunction with the North Cotswold Branch of CAMRA up to 36 beers will be available from Winchcombe and Toddington stations, with a frequent train service between the two bars. The bars will be open from 1030 until 1900 at Winchcombe and 1745 at Toddington on the Saturday and 1030 to 1600 (subject to beer availability*) on the Sunday. Free entry to the festival with a valid train ticket for the day of your visit.